Vendors, talent agencies, record labels, etc. Hi, my name is Matt and I DJ under the moniker, XCON. This is my alter ego, if you will, where creativity and freedom dictate my actions instead of the rule of law. You came here to learn a little about me and to my surprise, this page ended up being longer than I had originally anticipated. You might want to get comfortable if you plan on sticking around. 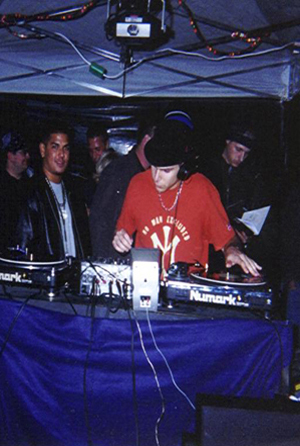 Here is the tl;dr version: I’ve wanted to be a DJ since my teenage years. I purchased DJ equipment in the early 2000s. It wasn’t long before I performed at my first rave. I love music and dream big. I knew I wanted to to some day become a DJ. 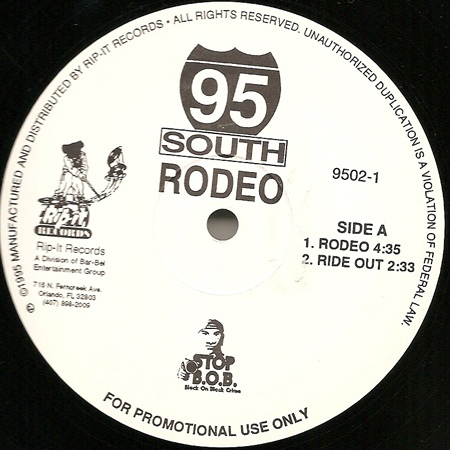 At that time in my life, I spent a lot of time at the local skating rink during the late-1980s through the early 1990s. I distinctly remember spending time outside the DJ booth analyzing their every move. I studied everything from the arrangement of tracks to the mixing techniques and I hoped that some day I could perform for an audience. Of course, at such a young age, it was not exactly possible to become a DJ nor was the equipment even remotely affordable on a 13 year old’s allowance. Nevertheless, I can remember walking into a record store, seeing thousands of records (vinyl of course), and the place was always mobbed with DJs searching for the next gem to add to their collection. 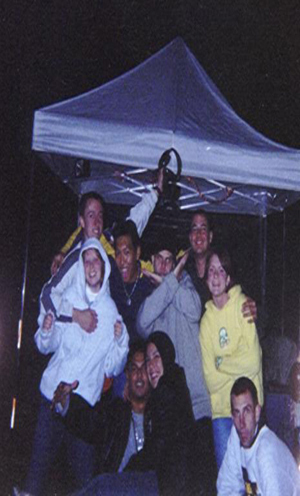 This experience, although seemingly small and insignificant, actually proved to be quite a learning opportunity. 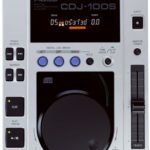 Back then, digital turntables were just beginning to gain popularity and I took the time to learn a little about the Pioneer CDJ100. This model happened to be on display at the local record store. At the time, the various digital effects (Jet, Zip, and Wah) were groundbreaking! These decks quickly became somewhat of an industry standard and were adopted by most night clubs. 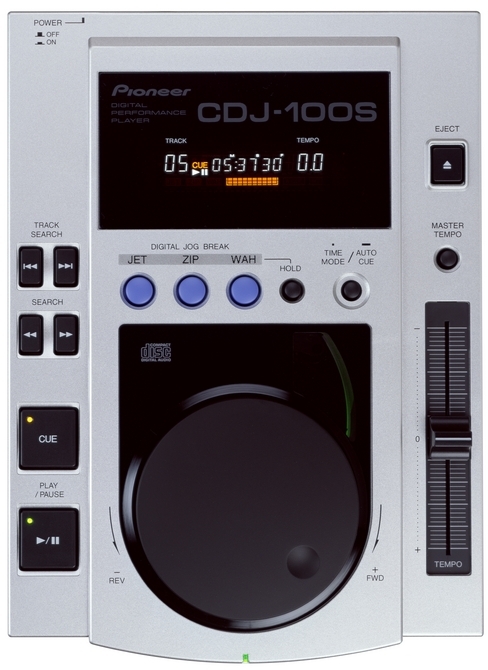 Below, is an image of the Pioneer CDJ100, which likely started the push to all things digital in the DJ industry. At the same record store I used to visit, I finally purchased my first vinyl record. 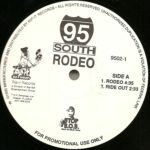 95 South, “Rodeo.” Booty music was gaining popularity at the time, so this was an easy choice. I proceeded to buy a few more records for the simple reason of familiarizing myself with the technology and the music. I still had little to no money for anything let alone a respectable turntable, so I did what any teenager would do in my situation. I used my parents old Sony belt-drive turntable that was meant to play records, but not to meet the demands of a DJ. It was a start. This was not exactly a glamorous time in my life, but I learned a few things. I loved the way vinyl sounded. It was so warm and authentic. I was quite fascinated with the way you can manipulate the sound of a record using your hands. It didn’t hurt that I also had a stereo that would rival some of the best in the neighborhood. Almost every dollar I earned was put into that system and I still have several components today. Fun little fact, I used to DJ events for my friends with this stereo system and my collection of CDs. 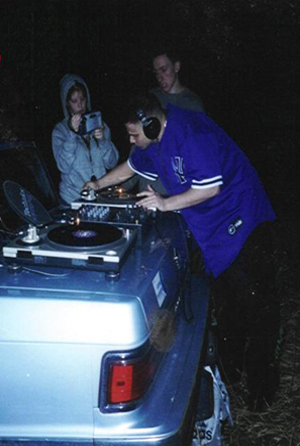 So I guess you could say that I started DJ’ing in my teenage years. All of this to explain that between admiring the DJs at the local skating rink, the record store shopping, and the eventual experimentation with vinyl, I was hooked! I just had to be a DJ. I purchased my first pair of turntables, a mixer, and I was building up a record collection. 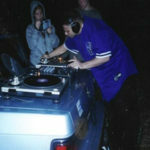 I still wasn’t much of a DJ, but I was learning. 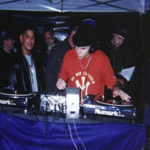 I began performing as a DJ in 2001. My first performance was at a rave called, “Phlavor of the Forest.” The location was somewhere in the middle of Ocala National Forest. There were several stages, lots of generators, and it was freezing! This was a time in my life that I’ll never forget. If you would have asked me where I wanted to take my DJ career 15 years ago, I’d tell you that I wanted to some day perform on a world stage. One can dream, right? That’s still my dream…whether or not it comes true is not important nor is it the point. What is important is that I have a dream and that I’ll teach my kids to always dream big and never give up. Meanwhile, I continue to be inspired by those who push the envelope taking electronic dance music to new heights. I’ve been fortunate to witness some of the world’s greatest talent and I am excited about what the future holds. Thank you to my family and my two boys for all that I cannot express into words. Thank you to my big sis for always being there, Justin (OCDJ), Mark, PRO Event DJ, DJ Lu-S, Al Deezy, T-Bone, roommates, fans, neighbors, those who know what the word “hoose” means, and to all those who have supported and believed in me along the way. From the bottom of my heart, thank you.